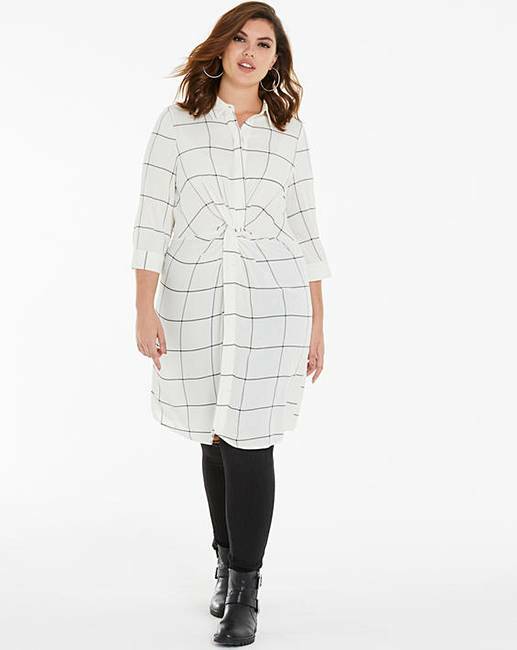 Update your mono collection with the tie front shirt dress. 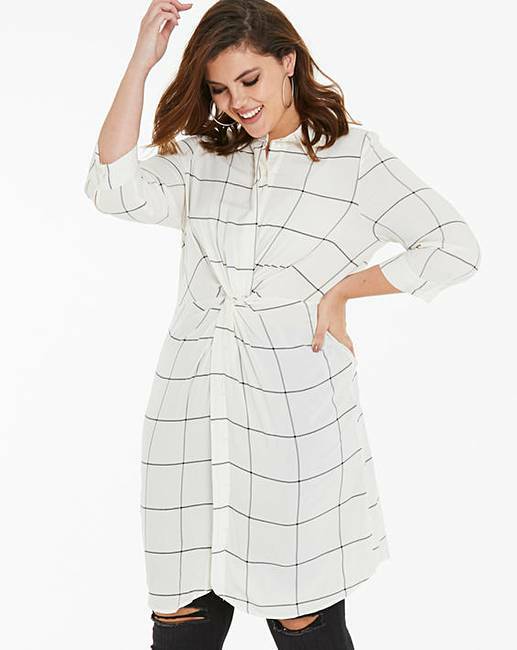 Adorned in a mono check, this classic shirt dress is updated with tie front detail. 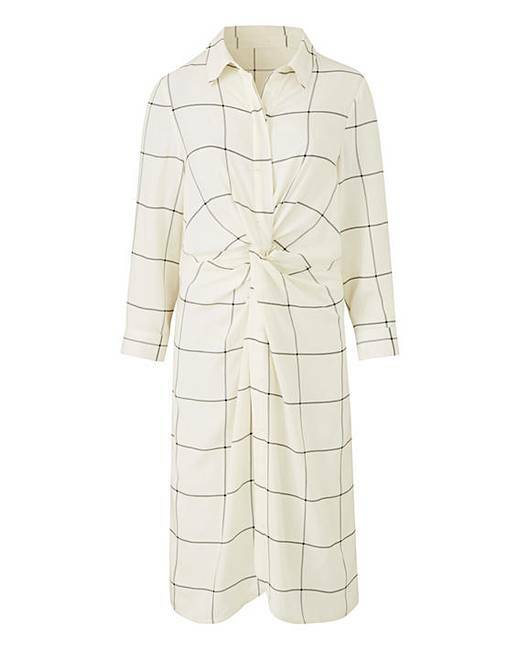 Pair with open toe shoes for a daytime transitional look.